Cinema is similar to magic, in that both art-forms require a suspension of disbelief. 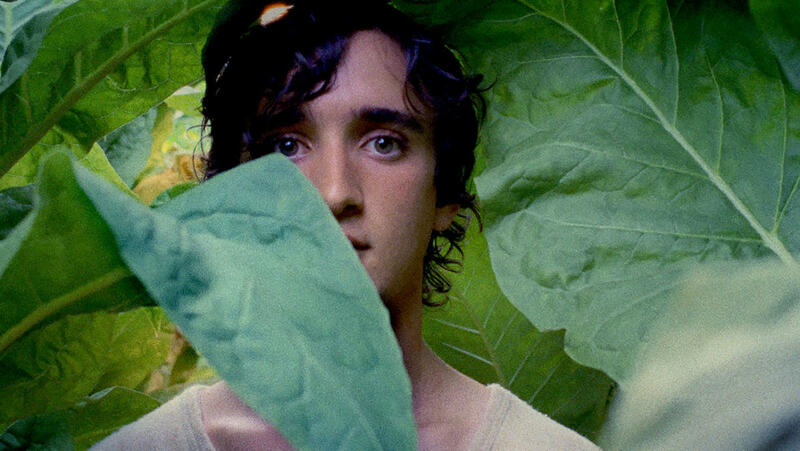 This is certainly the case with Happy as Lazzaro (Lazzaro Felice), which cleaves the narrative in two with an inexplicable, beautiful jump in time. But the best tricks in cinema don’t require any rational explanations, especially not when the filmmaking is this good. This is magic realism at its best. Lazzaro (Adriano Tardiolo) is a fool with the face of a saint. He is often seen staring into the distance, with the viewer unable to tell if he is secretly profound or remarkably dim. This is his innate charm. He trusts everyone, and as a result everyone treats him as a blank canvas to project their own ambitions onto. It is Tardiolo’s performance, or more precisely his sculptural-like face, that gives the film such a charming, yet reverent feel. Its a holy movie, using a wealth of religious iconography to have Lazzarro act as the pilgrim, icon, spirit and holy idiot in equal measure. In an ever-increasingly complicated and stressful world, his simplicity acts like a balm. He lives on a tobacco farm with countless others, where they are eternally indebted to the Marchesa Alfonsina De Luna (Nicoletta Braschi). Basically modern-day slaves, not matter how hard these people work, they will never get out of their debt. Early scenes are reminiscent of Emir Kusturica in how director Alice Rorhwacher crams the frame full of amateur actors basically playing their peasant-selves. Things are so chaotic Lazzaro doesn’t even know who his true parents are. Therefore, when the Marchesa’s son Tancredi (Luca Chikovani) says that they are half-brothers, Lazzaro believes it to be true. The spoiled yet rebellious Tancredi and Lazzaro strike up an unlikely friendship when the latter shows him his secret cove where he drinks coffee and stares at the scenery. Tancredi sees an opportunity in Lazzaro to fake his own kidnapping (poor Lazzaro is just obeying orders) in order to get back at — and extract money from — his cruel mother. Inevitably, it all backfires, and Lazaro accidentally falls of a cliff. When he awakens, many years have passed, but he is exactly the same person. Lovingly shot in 16mm, the panoramic shots of tobacco fields, rolling hills and endless blue sky are a picture-perfect view of the Italian countryside. To achieve the desired effect that the devastating second half brings (which I will not spoil), Rorhwacher really envelopes us into this world, replete with the voiceover of a child telling fairy tales. Aided by excellent, incantational sound-mixing and wonderful unforced performances, Rorhwacher creates a recognisable and authentic vision of Italy miles apart, yet equally as fantastical, as that in Call Me By Your Name. This is all really well-composed, making the urban-set second half hit all that harder. Even if Alice Rohrwacher cannot stick the landing, this is a major step-up in form from the meandering The Wonders, truly establishing her as a major force in world cinema. I can’t wait to see what she does next.